A combined side scan sonar and multibeam device was deployed at the Sand Motor by Delft University and Deltares technicians on monday 29th and tuesday 30th of September. The aim of the device is to investigate (1) the bed forms and (2) spatial variability in bed sediment composition. Both alongshore and cross-shore transects were sailed. Basically a high-detail map of the bed at the Sand Motor was created. The area considered extended in alongshore direction from the southern side of the Sand Motor (Monster) up till Kijkduin (The Hague). 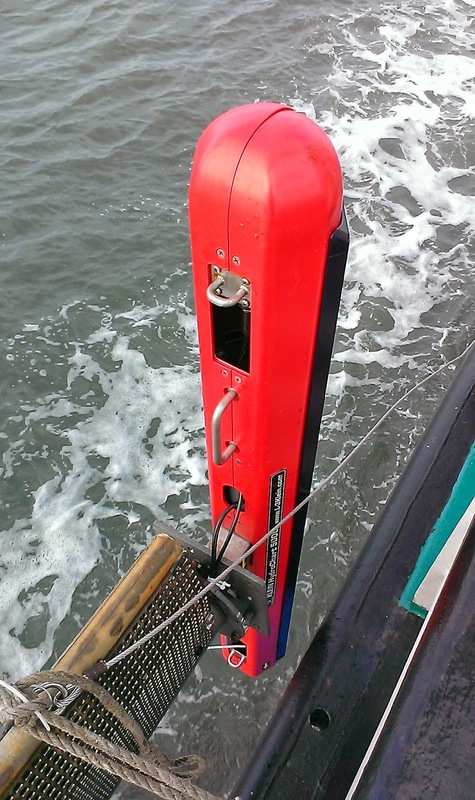 It is expected that a combination of multibeam data, backscatter from the sonar and physical sediment samples will provide a wealth of information to researchers within the NEMO and NatureCoast projects.